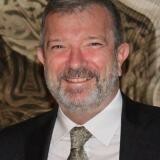 Mick Cory was appointed Secretary General and Executive Director of EuroGeographics in 2015. Mick is a Fulbright Scholar, holds a Postgraduate Diploma in Company Direction and a Masters (MPhil) in Land and Geographic Information Systems. He has extensive expertise in leadership, surveying, mapping and GIS following assignments in Africa, the Middle East and all three Ordnance Surveys of Britain and Ireland. In addition, he has advised Ministers, the Boundary Commission in Northern Ireland, government departments and academic institutions, and has been active in developing professional institutions in the UK and Ireland. Check out the incredible speaker line-up to see who will be joining Mick.